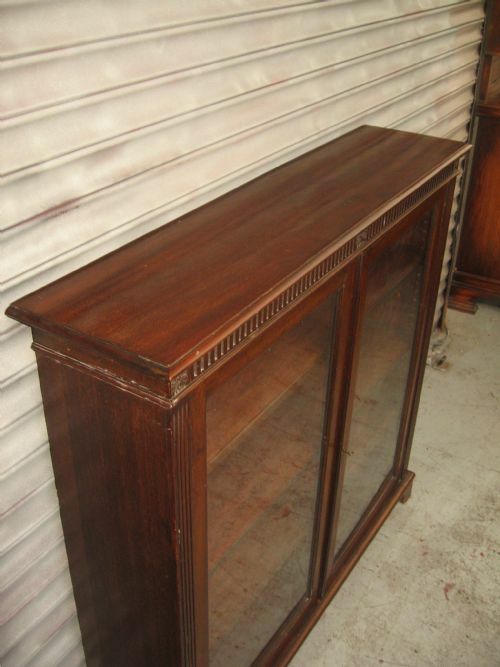 Edwardian mahogany two door bookcase, the interior with three adjustable shelves, two glazed doors on bracket feet , with a carved detail across the top front. 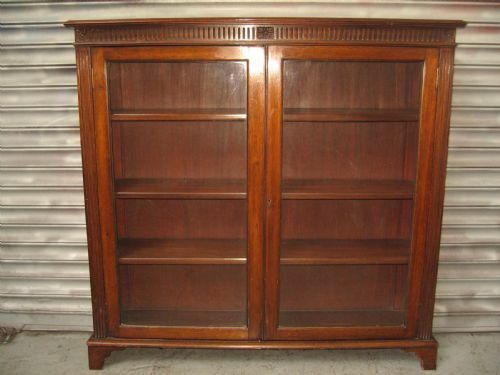 Size 48 ins wide, 46 ins high, 11.5 ins deep. 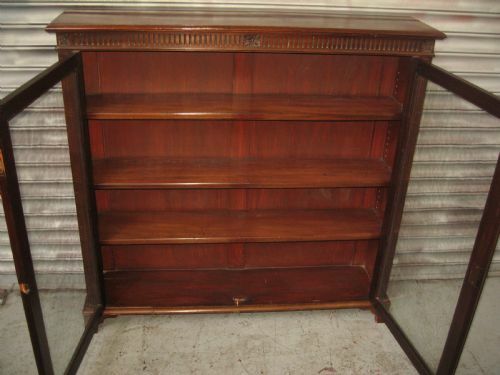 interior 8 ins deep. 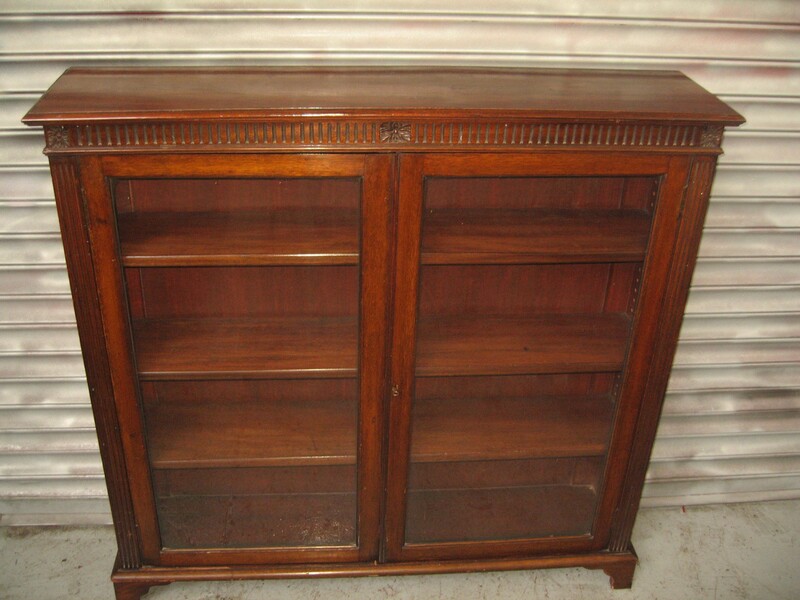 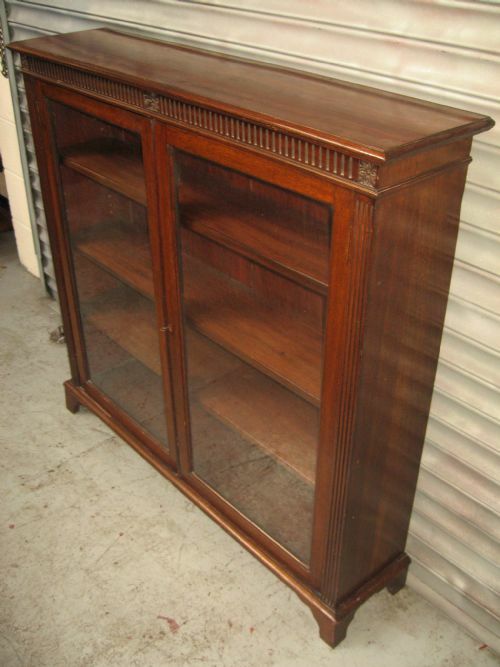 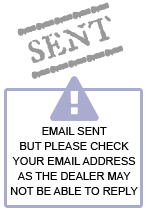 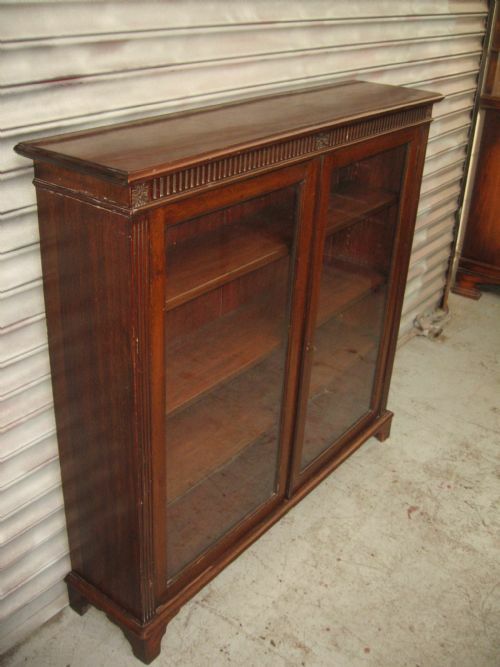 The Edwardian mahogany two door bookcase has been added to your saved items.